Chocolate Condensed Milk BallsPerfectly delicious! Chocolate Condensed Milk Balls are always popular as they are suuuper addictive. You won’t be able to stop at just one! It’s also fun and easy to make and their rich flavours make them irresistible. 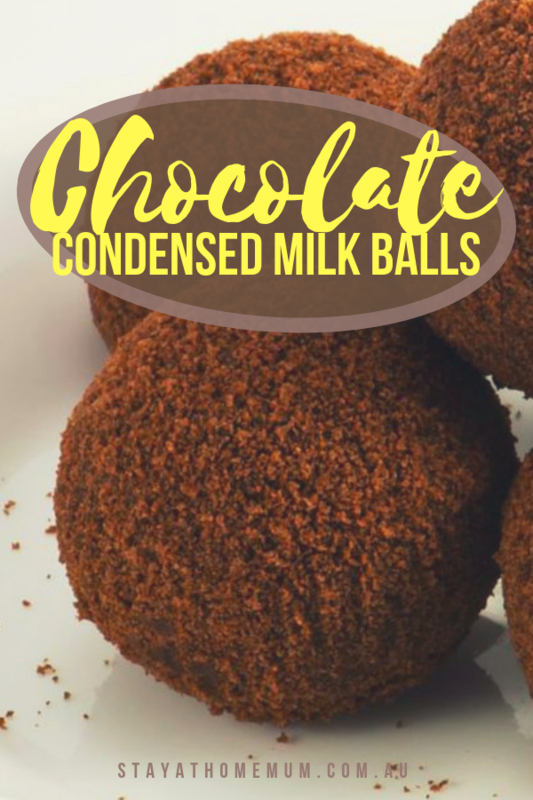 I love making these Chocolate Condensed Milk Balls during the holidays. There’s a lot of eating going on and it’s nice to have something to grab especially when guests come over! Crush the Marie biscuits well (food processor works well - or you can wrap them in a tea towel and hit with a rolling pin). Add the condensed milk, cocoa and the half cup of coconut. Roll the mixture into small balls and roll in the extra coconut or sprinkles and refrigerate for three hours to set. Yummy! Chocolate Condensed Milk Balls can be frozen. Layer in baking paper in an air-tight container for up to four weeks. Stores well in the fridge in an air-tight container for up to a week.